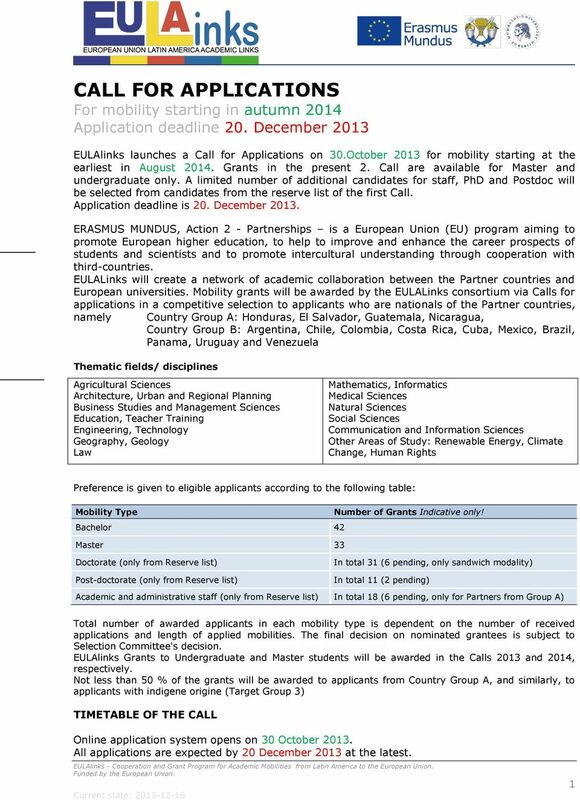 Download "CALL FOR APPLICATIONS For mobility starting in autumn 2014 Application deadline 20. 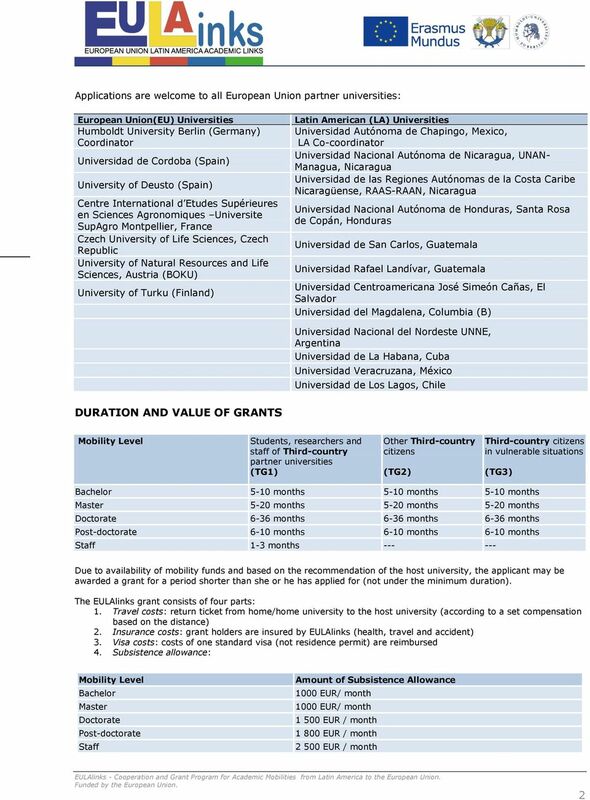 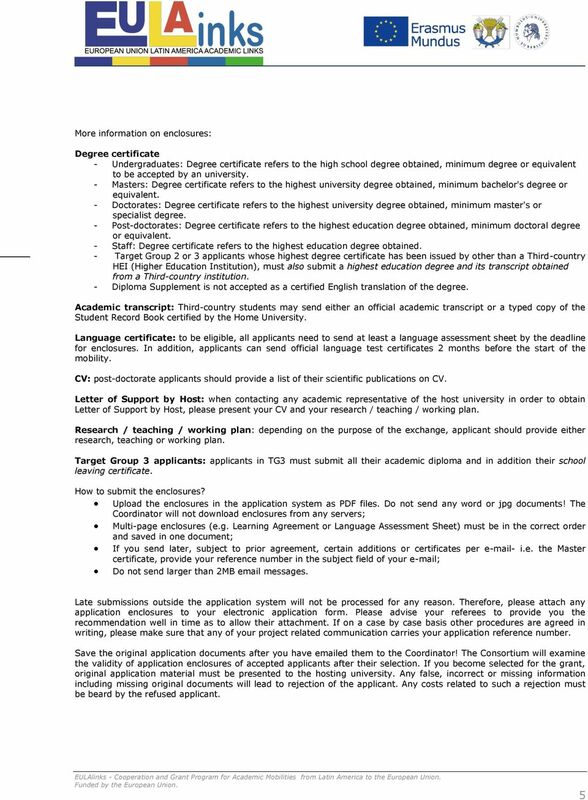 December 2013"
Ref: 2012-2602 INSTRUCTIONS FOR EUROPEAN GRANTEES GOING TO NORTH AFRICA. 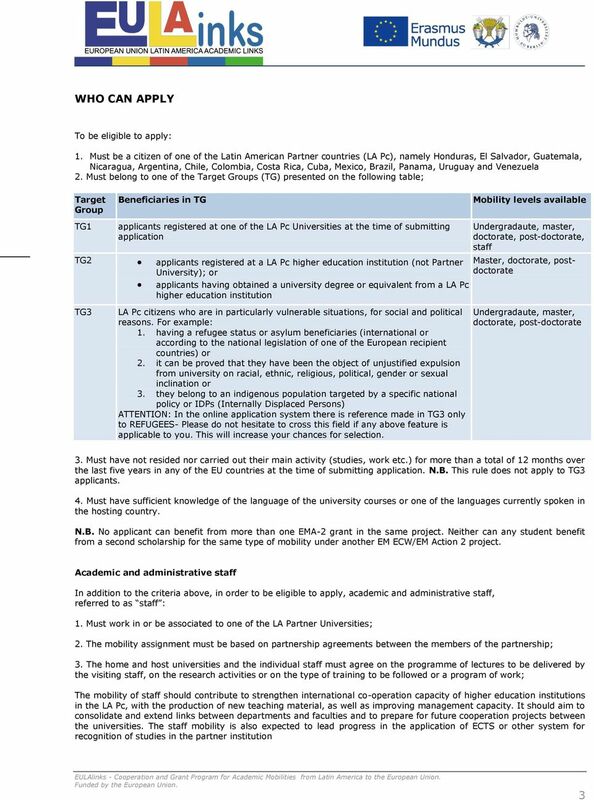 "With the support of the Erasmus Mundus programme of the European Union"
For Cooperation and Mobility in Higher Education Background Inspired by the highly successful Erasmus Programme, Erasmus Mundus also offers a framework for valuable exchange and dialogue between cultures. 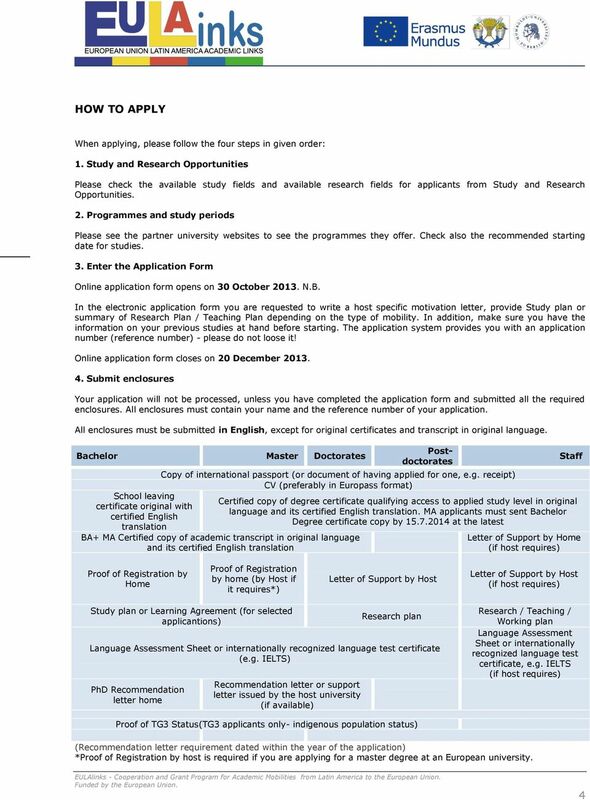 SELECTION OF STUDENTS TO ERASMUS MUNDUS MASTER DEGREE MUNDUSFOR 1. 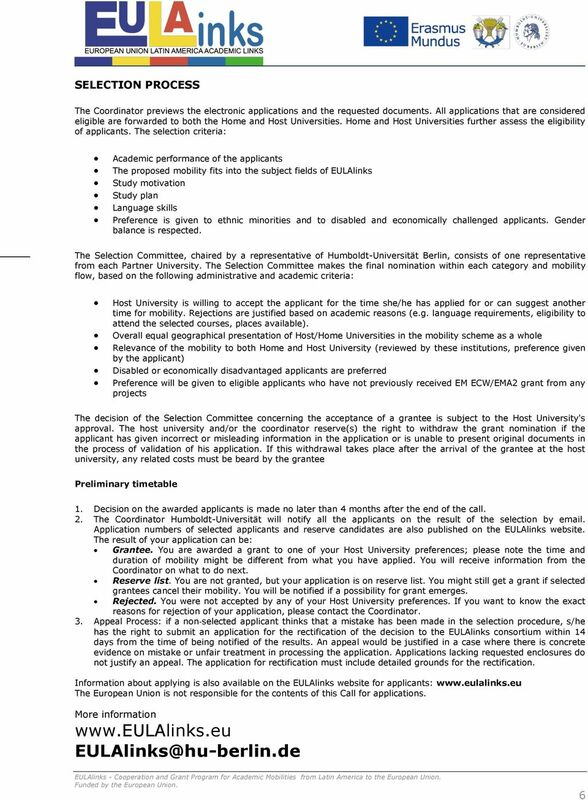 Call for applications for students 1.1 Description of the study programme TITLE: Mundusfor Education of Professionals of Education 1.1.1.